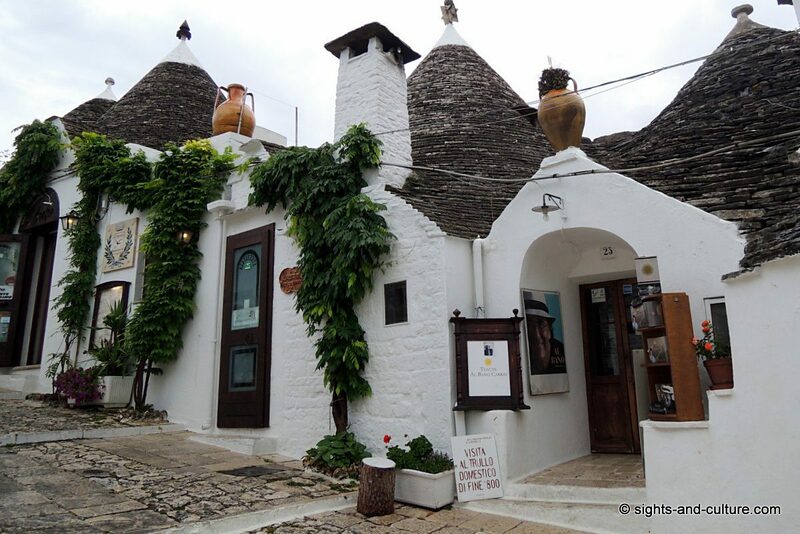 Take a stroll through the enchanting little town of Alberobello with its fairytale-like round houses, the trulli, built in prehistoric style. 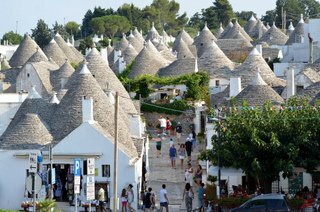 Alberobello is a city in the Italian region of Apuglia, in the very southeast of the country. It is known for its trulli, whitewashed stone houses with conical roofs. 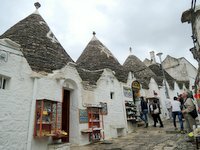 Following a prehistoric building method, they are made of solid natural stone without mortar and have wooden floors. 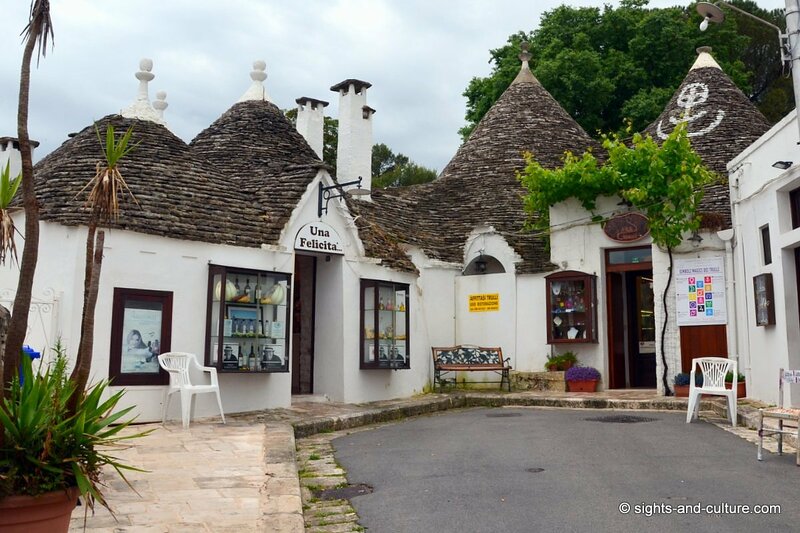 The imbricative, dark, pointed roofs, are made of stone slabs an finished with a white capstone, which gives the trullo its characteristic appearance. 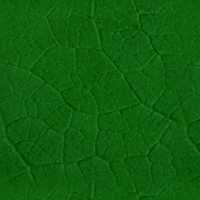 On several of them one can find symbols of esoteric, spiritual and superstitious character, which were painted with white ashes and are visible from afar. They serve to mark the house and protect it from evil. 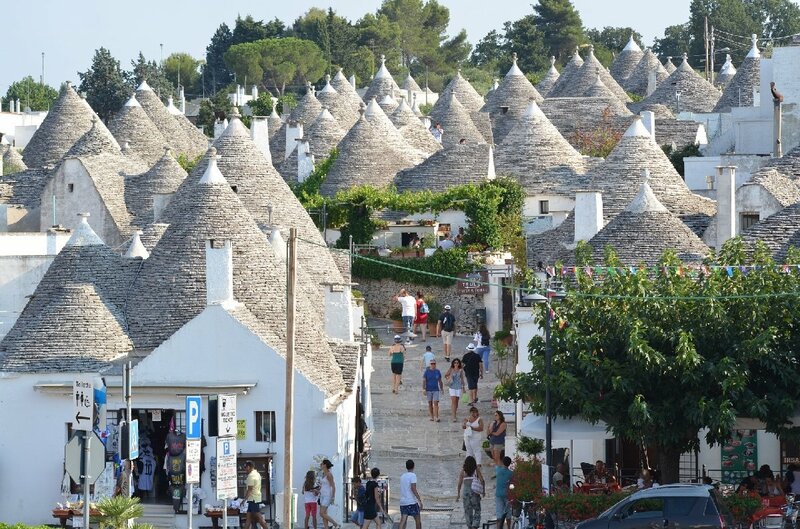 And still today Trulli are very common and, connected with each other, used as residential buildings. 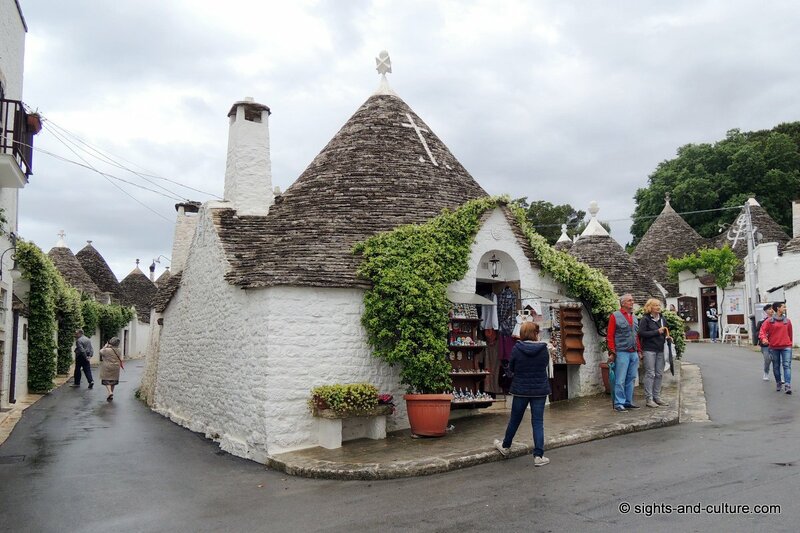 Due to their very thick walls and tiny windows, the trulli offer good protection against both high heat and cold, because the stones heat up or cool down only slowly. 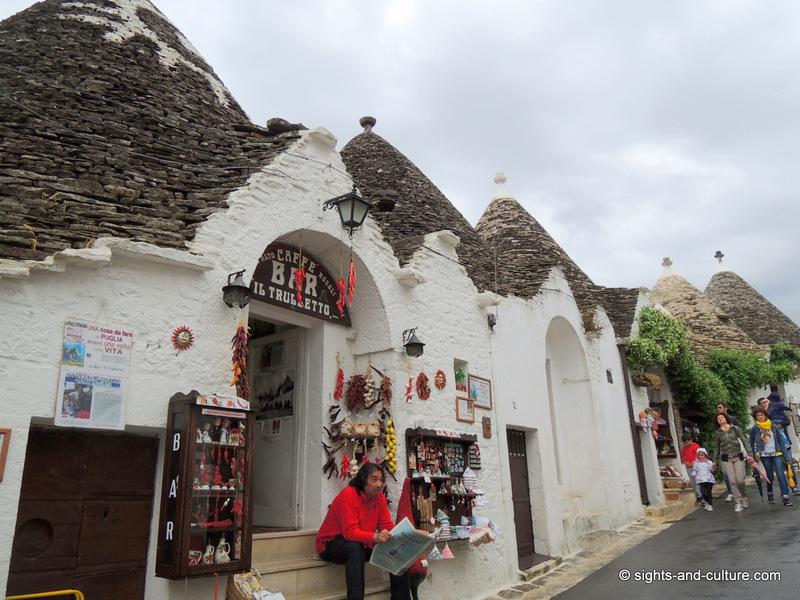 The original, poor people houses' have a very special charm and are therefore now also popular as a holiday home. 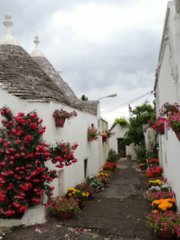 It feels like in fairyland! 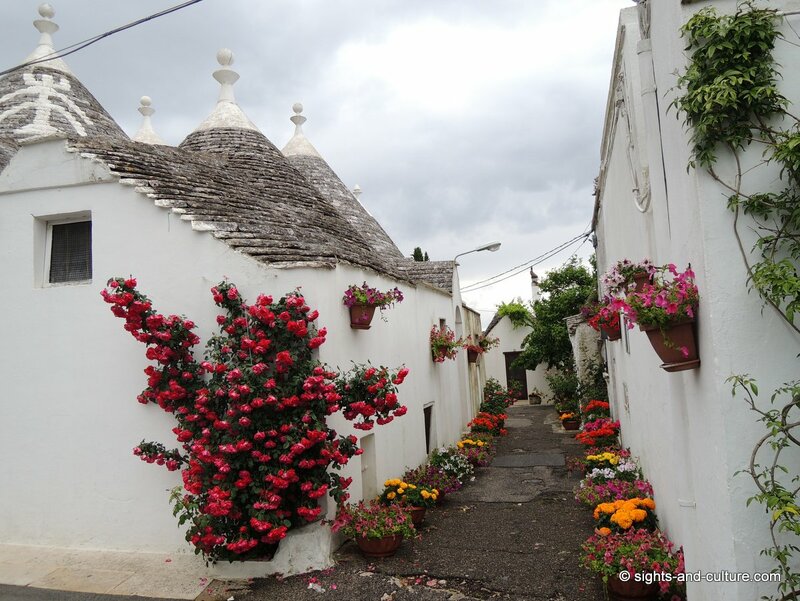 The trulli in Alberobello have been a UNESCO World Heritage Site since 1996.